Hier gibt es Infos zum aktuellen Programm und besonderen Projekten. Please check out Tour dates for detailed information about upcoming shows. Tango Transit is a German crossover band formed in 2008. Martin Wagner (accordion), Hanns Höhn (bass) and Andreas Neubauer (drums) have consequently developed their original style between Jazz, Tango, Blues and other influences such as Funk and Cajun music. The band has released four albums and a live-DVD to date and tours extensively throughout Germany and European countries such as France, Switzerland, Austria and Romania. They have appeared in clubs and festivals alike and leave audiences subsequently impressed. Please check out also our youtube-channel. 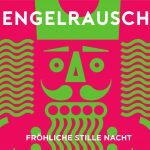 Rufus Beck liest und spielt den “Sommernachtstraum” von William Shakespeare in seiner sehr eigenwilligen Fassung – Tango Transit spielt dazu eigene Bearbeitungen der Originalmusik von Felix Medelssohn-Bartholdy für Jazztrio.